In the midst of debates and with Election Day quickly approaching, the importance of agricultural policy is even more pressing. In fact, everyone has a stake in American agriculture and protecting our farmers and ranchers’ ability to produce. Agricultural policy issues hit home for all Americans, both on and off the farm. Agricultural policy matters in the current election for many reasons. Agricultural policy influences key issues and impacts the overall prosperity of the United States. The U.S. Army Corps of Engineers, the Bureau of Reclamation, and the Bonneville Power Administration have announced their intent to revisit the Columbia River System operations, including 14 different federal projects in the Columbia Basin. When completed, the plan will contain a range of alternatives to the management of the Columbia River System that could greatly impact the viability of the System. As part of the planning process, the agencies are soliciting public comment from stakeholders so that they can identify the important economic and social values of the Columbia River System. 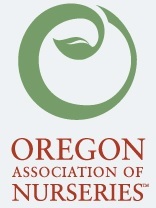 The Oregon Department of Agriculture and US Department of Agriculture have announced this year’s recipients of Specialty Crop Block Grant Program funds. In Oregon, nearly $1.7 million will fund 15 projects to help boost the competitiveness of the state’s fruits, vegetables, tree nuts, nursery crops, and other specialty crops. Doubling the Cascade-Siskiyou National Monument? Oregon’s Democratic U.S. Senators have proposed an expansion to the Cascade-Siskiyou National Monument that is overwhelmingly opposed by Oregon’s ranchers that make their full-time living off their ranches. Designated June 9th, 2000 by President Bill Clinton, the Cascade-Siskiyou National Monument was described as a “home to a spectacular variety of rare and beautiful species of plants and animals” in Proclamation 7318. 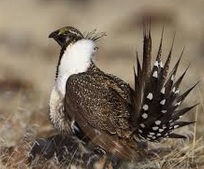 Through the additional expansion of this monument, not only will southern Oregon cattle ranchers be affected, but so will bird-watching enthusiasts and avid hikers, as the gates will be closed to the rest of the world. The loss of cattle grazing down the native grasses, as a result of no public land grazing permits issued, will result in increased wildfire fodder in an already dry, hot, and wildfire prone area. An unpredictable and well-fueled wildfire in this area could quickly lead to private, non-monument lands. It’s becoming increasingly difficult for older farmers to hand over their operations or keep them in the family. It’s as challenging as ever for younger would-be farm operators to gain access to the land. The graying of Oregon’s farmers and ranchers is an issue receiving a closer look this fall following a new report examining the future of the state’s farmland, who will own it, and what will be done with it. The report will be followed up later this month by a farm succession workshop and other events designed to help promote a transition to the next generation. The American Farm Bureau Federation says drone users need to be aware of the specific regulations under the new Federal Aviation Administration rule. Micheal Clements has more. Clements: Drone users must abide by specific FAA regulations under a rule announced in August. That’s why the American Farm Bureau Federation and the FAA teamed up to host a webinar to educate farmers on the rule last week. AFBF’s RJ Karney says the webinar is part of the FAA’s outreach to drone users. Emphasizing the need for congressional action, farm groups renewed their call for reform of Clean Water Act enforcement, following release of a report documenting how federal agencies overreach their authority to regulate farmland. The report, issued last week by the majority staff of the U.S. Senate Environment and Public Works Committee, describes numerous incidents in which the U.S. Army Corps of Engineers and Environmental Protection Agency have tried to expand their authority to regulate what crops farmers grow and how they grow them, based on the agencies’ interpretation of the act. Oregon nurseries and greenhouses sold $894 million worth of plant material in 2015, according to a new estimate by the Oregon Department of Agriculture. This was good enough to make nursery and greenhouse products Oregon’s number two agricultural commodity, behind cattle and calves at $914 million. It represented an 11 percent increase in sales from $830 million in 2014, but is still short of Oregon’s peak of $988 million in nursery and greenhouse sales in 2007.